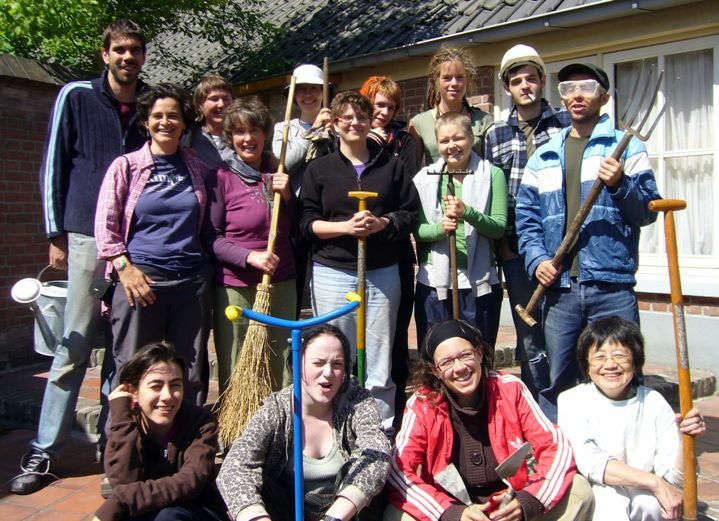 The second SCI workcamp I have ever participated in was once again in the Netherlands. It was in a center for a special kind of Yoga, Okido Yoga, in Laren, Gelderland. I was very excited right from the beginnng when I expressed my interest to become a coordinator of the workcamp in a meeting of VIA (the dutch brunch of SCI where I am active in). I thought it would be a unique experience, especially as I would get to know more about a different culture and way of life. 14 volunteers, all from different countries and from different age groups were there. Jasmin from Uk, who had been in the center 15 years ago was coordinating our work, Donja from Netherlands and me from Greece were workcamp coordinators, Rita from Australia, who had introduced the center to SCI, Mojca from Slovenia, Peg from US, Sabina from Croatia, Leena from Finland, Slavo from Poland, Damiano from Italy, Merve from Turkey, Anita from Austria, Sanna from Sweden and Sarah from Ireland. Mizue from Japan was responsible for the center and Yoga classes and Yunko was our great cook and massage specialist. 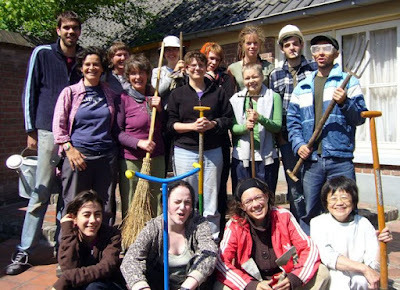 We had a great time during the workcamp doing garden work and , but also learned many things: ways to take care of our body, do exercises the right way, Shiatsu massage, health, nutrition, eastern culture and food. The work in the garden we were mostly busy with was also interesting, as we saw innovative ways of recycling material, making compost, creating brick steps, doing cement work, and making a pond and a little hill. But most importantly we got to know new people plus did many things together including the trip to Amsterdam and Zutphen, playing games, dancing with locals and sitting around the fire in the evening and a bicycle trip that I missed. I have been participating since May 2007 in Couchsurfing an internet community for hosting people and being hosted. Through this amazing community I got the chance to get to know many people from all over the world. One interesting experience I had was participating in the creation of a short reportage for the German TV Channel RTL prepared by Mirjam. I hosted Ulf from Köln in my house in Amsterdam and was filmed.